Door closer systems and automatic doors that bring high performance to busy environments. At the end of 2015, Hilton opened a new hotel at Amsterdam Airport, comprising 433 rooms, a ballroom, 23 meeting rooms, a 1,700 square meter conference centre and a spa and fitness centre. "Hilton Schiphol Airport is set to become a destination in its own right", says Patrick Fitzgibbon, Senior Vice President Development, Europe & Africa, Hilton Worldwide. 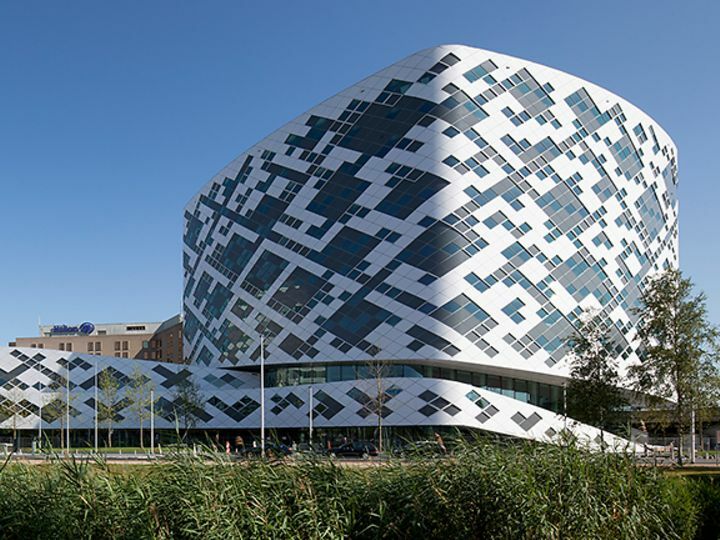 Dutch architecture firm Mecanoo designed the cube-shaped building with its rounded edges and lively diamond-patterned facade that is created from composite panels. A glass ceiling curves above the 35-meter-high atrium, offering space, light and fresh air. The interior design is by Merkx + Girod from the Netherlands and UK firm Hirsch Bedner Associates. High standards of design, functionality and security are also required for the doors in this showpiece hotel at one of Europe's busiest airports. At the end of 2015, Hilton opened a new hotel at Amsterdam Airport, comprising 433 rooms, a ballroom, 23 meeting rooms, a 1,700 square meter conference centre and a spa and fitness centre. The Hilton hotel doors are equipped with 650 dormakaba ITS 96 concealed door closers and 150 DORMA TS 93 cam action door closers.